For Jerry Grayson, former navy helicopter rescue pilot, film pilot and now drone operator and trainer, traditional commercial aviators and the unmanned industry must settle their clash of cultures or face a future of constant conflict. He sees the “irresistible force” of new drone operators, many with no aviation experience, meeting the “immovable object” of a global aviation safety culture built over a century. Grayson believes his experience in both camps gives him the background to understand the issues of both sides, speak frankly and “say things the legislators can’t”. “Unmanned aviators need to understand they are joining an existing aviation community with a well-established safety culture,” Grayson said. 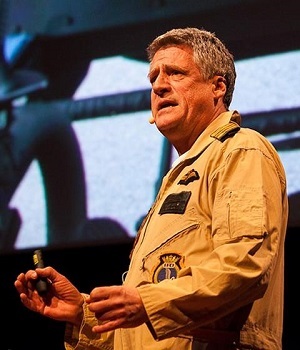 Grayson was a Royal Navy anti-submarine and search and rescue helicopter pilot and went on to a 35-year commercial career providing and flying camera helicopters for advertising and documentaries, Commonwealth and Olympic Games, FIFA World Cup soccer and films such as Black Hawk Down and the James Bond thriller View To A Kill. He parlayed his vast aerial filming experience from helicopters to drones in 2015 and now trains commercial drone operators in the art of “flying the lens”. In his view the unmanned community should adopt at least some of the operational rigour and procedures of commercial aviation in the interests of safety and credibility. He also believes the “new kid on the block” has an early opportunity for self-policing to avoid over-regulation. Jerry Grayson will speak on “Avoiding the Culture Clash – Can Commercial Aviation and Drones Co-Exist?” as part of the DroneZone main conference program at 0930 on Friday March 1.